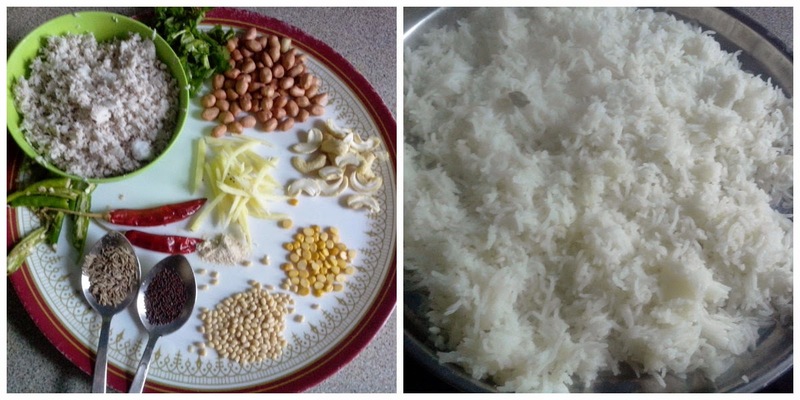 Pavi's Platter: Coconut Rice ! 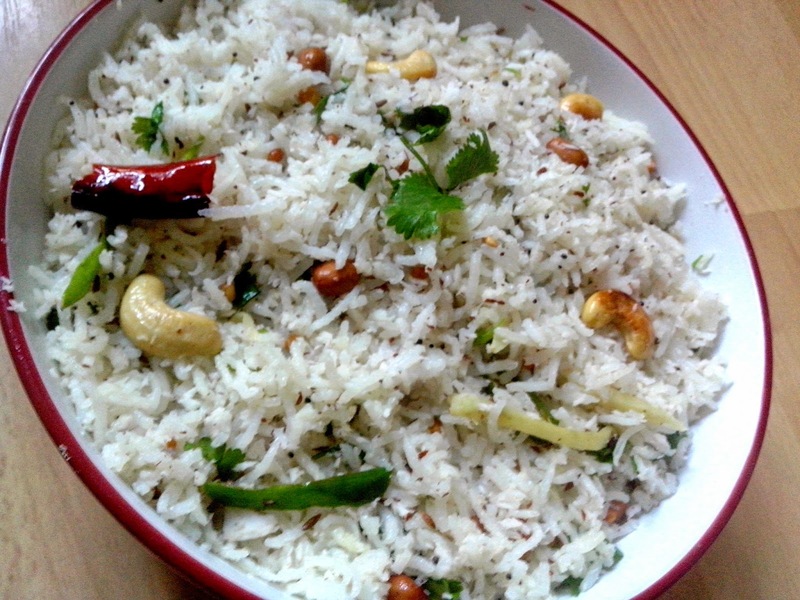 A simple and sweet rich dish that can be made in a jiffy and perfect for lunch box or a picnic. 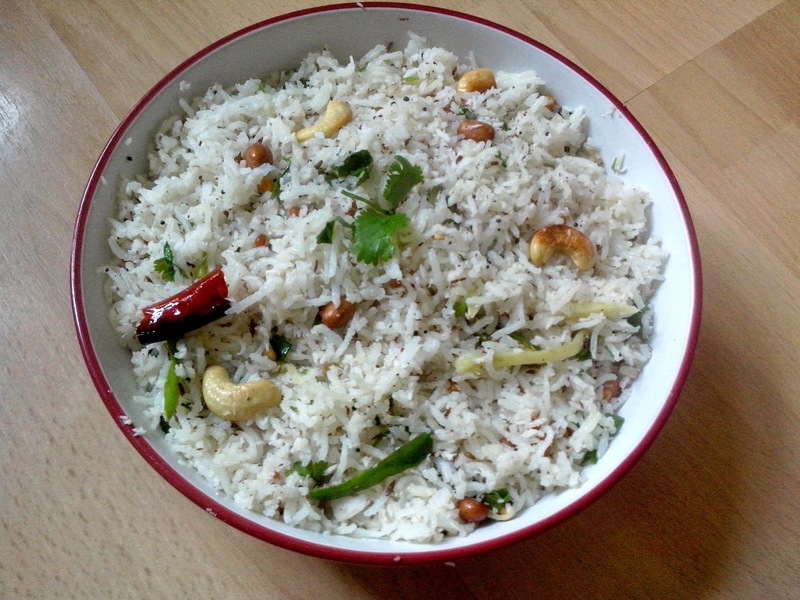 One of my favourite rice dishes that doesn't need a great side dish and goes along perfect with just papads or fryums. And it tastes out of the world with freshly grated or ground coconut. Cook the rice with salt in pressure cooker and see that the rice grains are separate and not mushy. Heat a pan/kadai and add oil. Once hot add the mustard seeds, urad dal and channa dal. Add a pinch of asafoedita and jeera and saute until the dals turn golden brown. Tear and throw in the dry red chillis, cashew nuts and ground nuts and fry for 2 minutes. If you have curry leaves add at this point. Lastly add the green chillis and ginger , fry for a minute and turn off the stove. Grind the coconut without water (or grate it) and add to the rice and mix well. Some people prefer to fry the coconut as well for a couple of minutes, but i dont prefer it as the coconut turns dry and the moisture from the coconut milk will be lost. 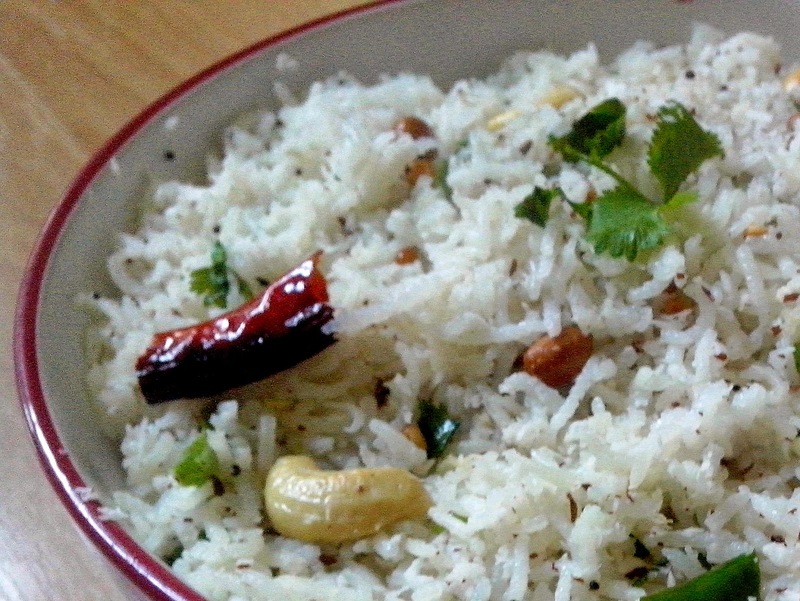 Add this rice coconut mixture to the pan and mix very well. Add chopped coriander leaves, a tbsp of ghee and give a mix. The sweetness from coconut, spiciness from chillies, crunchiness of dals and nuts altogether gives a wonderful flavor and taste.